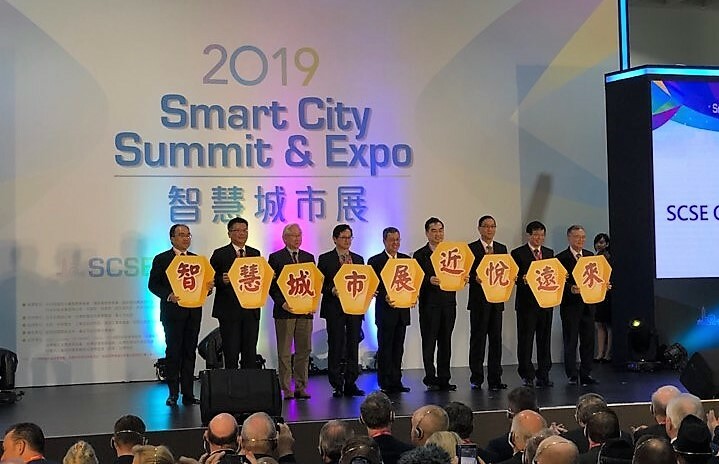 The annual Smart City Summit & Expo (SCSE) is happening at Nangang Exhibition Center Hall 1, Taipei, Taiwan from the 26th to 29th March 2019. With the advancements in technology and an growing influence of Artificial Intelligence (AI) and Internet of Things (IoT), the concept of a smart city is now a reality. As such, SCSE brings experts from all over the world to Taipei to share their experiences in the implementation of smart city projects. By providing such a platform for the sharing of knowledge and experience, SCSE hopes to bring smart cities into new heights. This year, SCSE is expected to showcase some of the latest Smart City technologies around the world. SCSE will feature a record breaking 337 exhibitors at the 6th run of the event. A total of 128 mayors and representations from 45 countries will also be attending the event. Various cities of Taiwan will be exhibiting their efforts in the research and development of solutions for their administration. There are four main areas within the expo, which covers the innovations in Healthcare, Education, Building Management and Transport. The Smart Healthcare Expo showcases solutions that are made possible with the synergies in Taiwan’s strength in ICT and healthcare sectors. By utilizing IoT and AI technologies, these solutions set the standards for healthcare of tomorrow. The expo also presents the possibilities of a Smart Hospital, Smart Care-taking and Instrument Automation. IoT and AI is becoming the foundation for next generation intelligent buildings. With improved communications technologies used in buildings, intelligent building management already surpasses the capabilities of a human. At this expo, visitors can see how big data is collected from IoT sensors and analyzed for improved building management. The smart technologies that enables the sustainable development of the built environment will also be showcased. The Transport Ministry in Taiwan will showcase a model example of what an Intelligent Transportation System is like. This also include concepts like MaaS (Mobility as a Service), Vehicle-to-Vehicle communication, Smart pathways, Autonomous driving networks, Traffic management and Public Transport systems. This is the first time this expo is featured in SCSE.